3312 Hershiser Court Edwardsville Il. 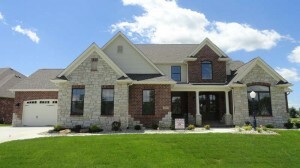 3312 Hershiser Court, Edwardsville located in phase 3 of Ebbets Field subdivision is priced at $579,900. 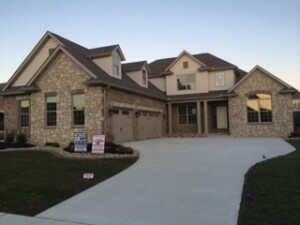 This impressive home offers 5 bedrooms and 4 bathrooms. This floor plan has a large kitchen, and hearth room with fireplace. The 2 story Great Room has a wood burning fireplace with stone from floor to ceiling, wired for HD TV and surround sound. The main floor master suite has an oversized bath with walk-in tiled shower. Other amenities include over-sized base boards, large crown molding in the kitchen, hearth room, and powder room. There is hardwood flooring, rounded drywall corners, upgraded lighting, appliances, and much more. The custom built-in cubbies at the garage entrance are across the hall from the over-sized laundry room with an abundance of cabinets and wash tub. There is upgraded granite counter tops throughout the home. The large side entry, plastered, 3 car garage has hot and cold water. The finished lower level has a billiards area, family room, game room, office, full bath, 2 additional bedrooms, and a full size wet bar for entertaining. The entire property is covered with an in-ground irrigation system.